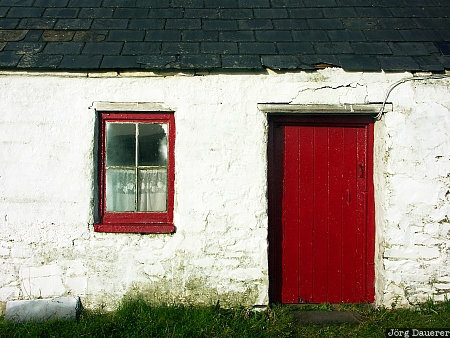 Red door and window of a house near Kilkee in County Clare, Republic of Ireland. This photo was taken in the evening of a sunny day in September of 2005. This photo was taken with a digital camera.